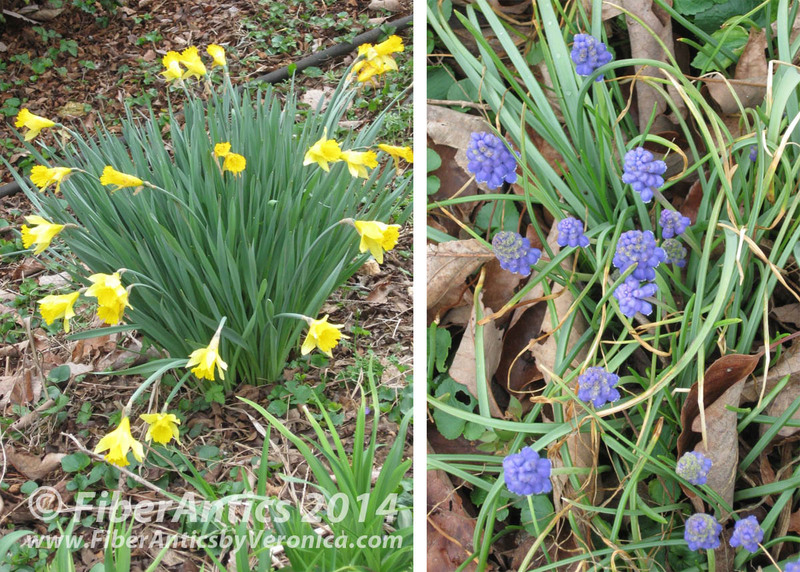 Want to enjoy a garden filled with bright, cheery Spring blooms without getting dirt under your fingernails? Here is a solution… Appliqué it! 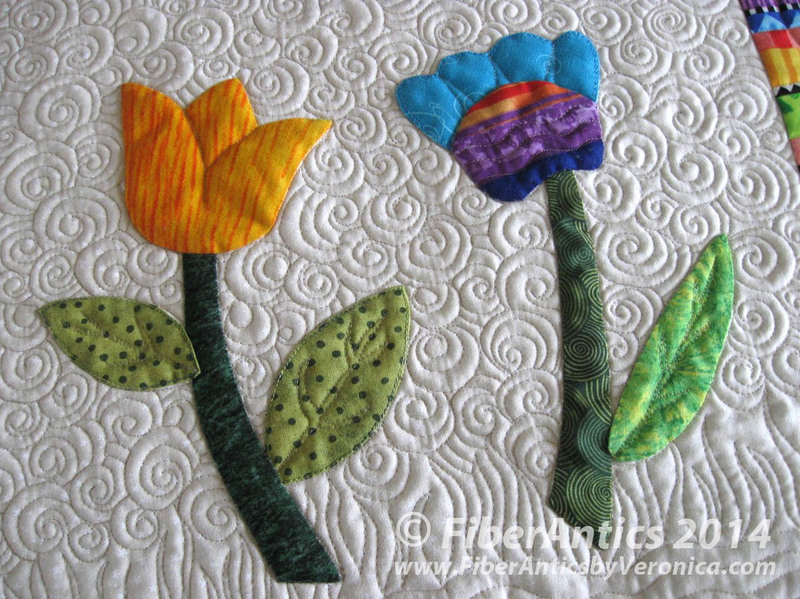 Beginning Appliqué class: "Fantasy Garden"
This whimsical little quilt is a beginner level class project for my Beginning Appliqué class. 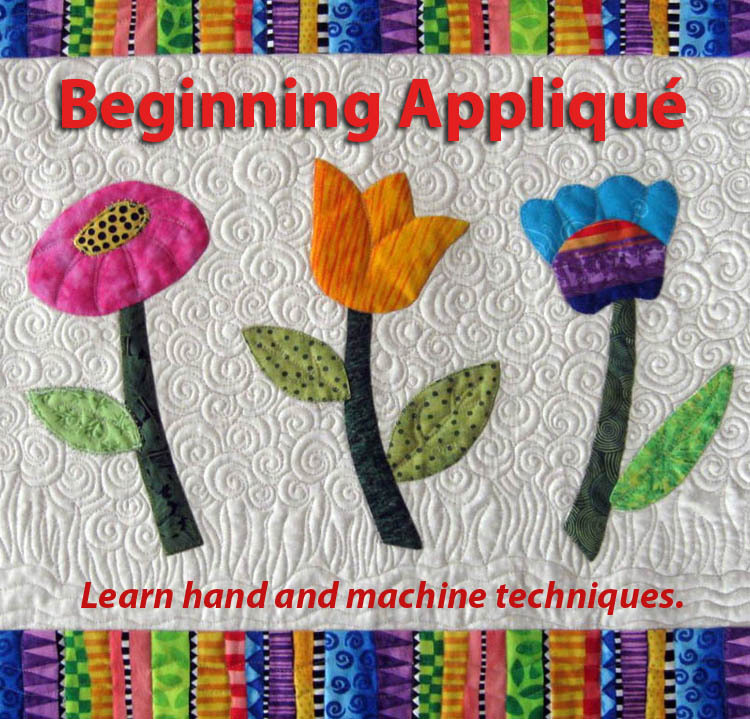 I'll be teaching this class—both hand and machine methods—this coming Monday, April 7 at Pins and Needles Quilt Shop. Won't you come out and join me in the garden? 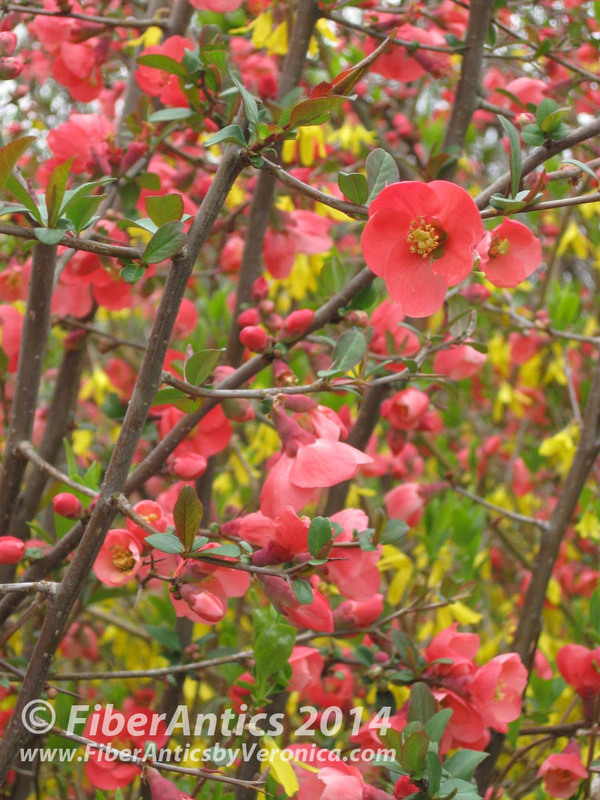 Applique flowers will grow anywhere! 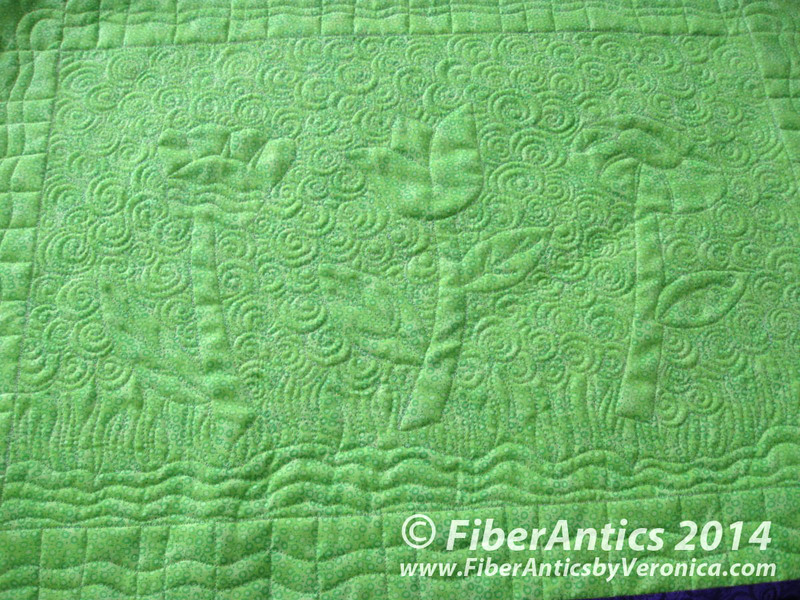 Use this lime Candy Dots backing fabric by Blank Quilting and your garden will always be green and perky. Candy Dots wide backing (color: lime) by Blank Quilting. If you want to learn how to do free-motion quilting with your home sewing machine, check my class calendar for upcoming classes. So perfectly springy and happy. 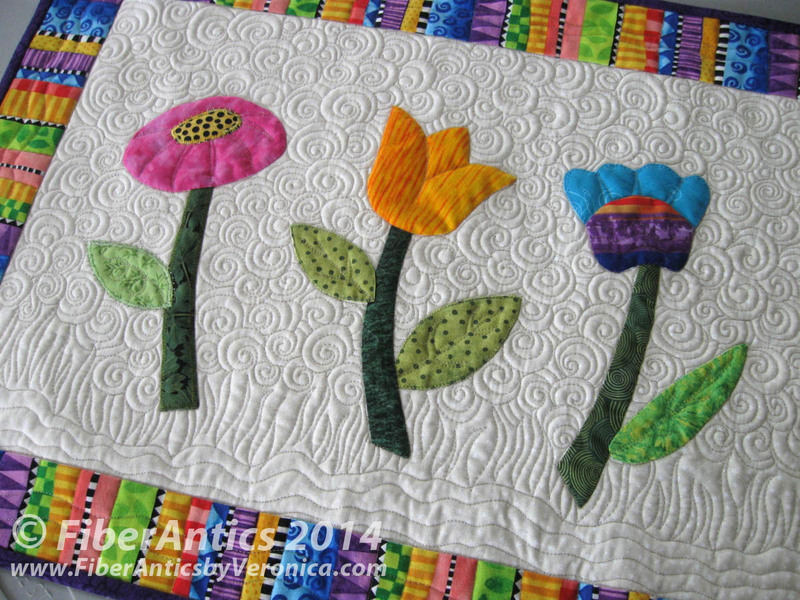 Beautiful quilting and I love the bottom strip border. Yum! I love stripes--and these are especially happy. Thanks, Mel.